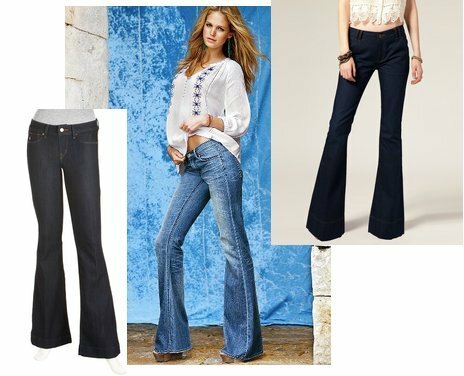 I love flare jeans for spring/summer - the 70's look is very chic right now and flares are the perfect way to add some of the hippie vibe to your outfits. If you are interested in trying a pair of flares/bell bottoms but don't want to break the bank, I put together some of my finds for under $100. Click on any of the images below for more information and I've also put together a couple of outfits using the denim shown. jen - I also got some really cute ones at free people - only $78!! !